Tal is the General Manager of The Junction and part of the F2 Capital investment team leading the pre-seed investments. Tal is responsible for sourcing and screening relevant companies in close collaboration with our multinational strategic partners, securing top of the funnel companies in each wave as prospects for future investment by F2 Capital. In addition, Tal is on the board of Combat Ventures, a non-profit organization assisting IDF veterans integrate into the Israeli startup ecosystem. 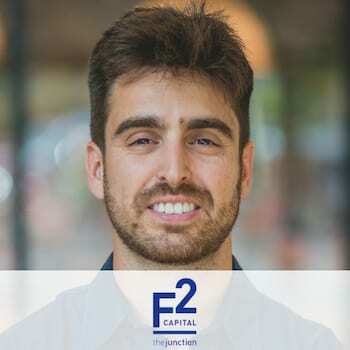 Previously, Tal was the lead investment analyst at F2 Capital. He also managed business development and strategy at a business intelligence firm. Tal served in theIDF as a Captain in the special forces and holds a Business Administration degree from the IDC. The Junction is the leading pre-seed program for startups in Israel. It was established in January 2011 as the first commercial accelerator for startups in Israel. We offer elite teams the guidance, network and capital to validate your vision and close a venture round. The Junction has launched over 200 companies, including including ClaritRay (acquired by Yahoo, KitLocate (acquired by Yandex), Appsflyer,PlainID, HouseParty, Honeybook, CyberX and Simplee that raised over $500 million from leading international funds including Sequoia, Greylock, NVP, Sierra Capital and others. The Junction also serves as a bridge for multinationals, including HP, MunichRe, SAP, innogy, Deloitte and others to access early-stage Israeli innovation. Working in close partnership with these strategic partners, The Junction sources relevant deal flow and provides a structured environment for multinationals to launch commercial pilots and invest in Israel.